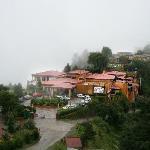 Business And Leisure Hotel Perched at a height of 7,200 ft, amidst lofty Himalayan peaks and picturesque orchards, and yet, just a few minutes from Shimla. The resort unveils to you the many splendours of nature amidst a 360 degree view of thick sylvan pine valley and snow peaked mountains. 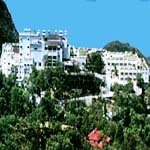 Business And Leisure Hotel Resideny Manor is a tribute to the majesty and splendour of the Mussoorie hills. Built on an individual hilltop and spread over nine acres of lush green paradise, the hotel offers an amazing 180 degrees of the most awe inspiring view of the hills. Airport (Dom. ): 55KM., Railway station: 38KM. Business And Leisure Hotel Efficient service, warmth and a homely ambience ensure that you will simply "be yourself" for your comfort. Away from the hustle and bustle of the daily routine. 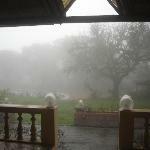 Where you can wake up to nature's charming grandeur and glory. Airport: Domestic: 95KM, International: 95KM. Bus Stand: 2KM., City Center: 2KM., Shopping Center: 2KM. 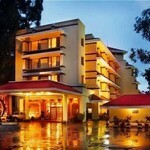 Business And Leisure Hotel - Club Mahindra Lake View Munnar is a verdant paradise situated at the confluence of three mountain streams - Muthipuzza, Nallathanni, Kundala. 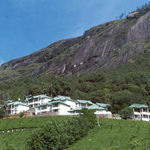 Sprawling tea plantations, picture booktowns, winding lanes, trekking and holiday facilities make Munnar a unique experience. The ideal location to catch up on your memories.